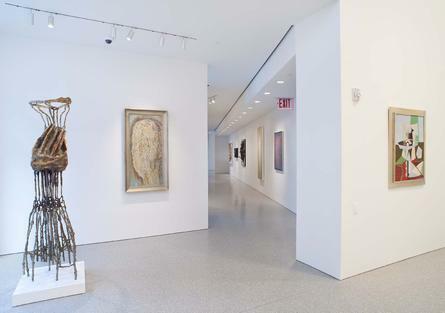 After twenty four years on West 57 Street, Michael Rosenfeld Gallery moved to Chelsea in the fall of 2012. 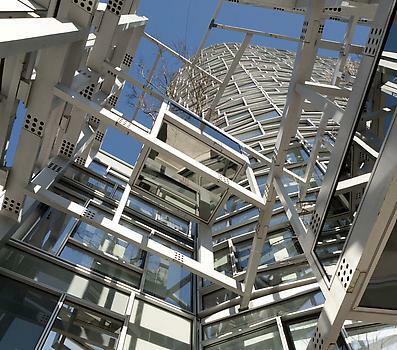 The gallery is now located on the ground floor of the exquisite Jean Nouvel residential tower, 100 Eleventh Avenue (at 19th Street), in a 6500 square-foot space designed by Richard Gluckman of Gluckman Mayner. 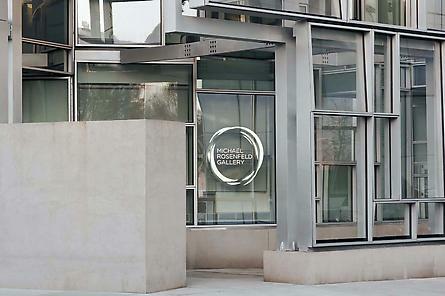 Michael Rosenfeld Gallery specializes in twentieth and twenty-first century art. 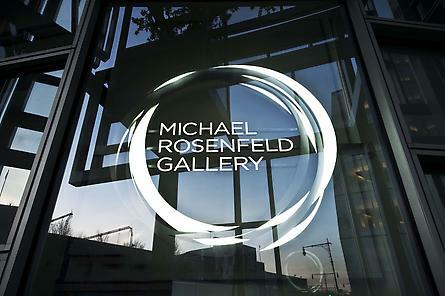 Established in 1989 by Michael Rosenfeld, the gallery opened its doors to promote the breadth of American art and those artists – known or unknown – that contributed to the establishment of surrealism, social realism, abstract expressionism, figurative expressionism and geometric abstraction. In 1992, halley k harrisburg joined the gallery and together they have worked to expand the canon of American art. Regarded as art historians with multi-faceted interests, Michael Rosenfeld and halley k harrisburg have developed a diverse and challenging exhibition program. Michael Rosenfeld serves as an advisor to numerous private collectors and has helped shape the collections of many urban and regional museums across the United States. Museum clients include the Albright-Knox Art Gallery, Buffalo, NY, The Art Institute of Chicago, Chicago, IL, Cleveland Museum of Art, Cleveland, OH, The Crystal Bridges Museum, Bentonville, AR, The Metropolitan Museum of Art, New York, NY, The Museum of Modern Art (MoMA), The Philadelphia Museum of Art, Philadelphia, PA, Museum of Fine Arts, Boston, MA, Museum of Fine Arts, Houston, TX, The Sheldon Museum of Art, Lincoln, NE, and The Smithsonian American Art Museum, Washington, DC. In 2000, Michael Rosenfeld Gallery LLC became a member of the Art Dealers Association of America. In 2001, www.michaelrosenfeldart.com was launched and in 2013, redesigned. 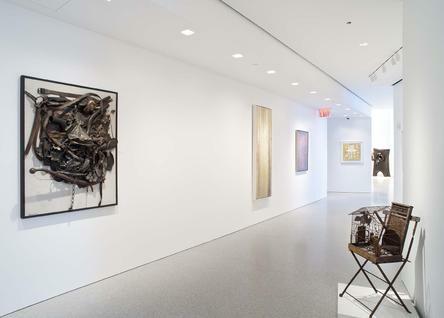 Michael Rosenfeld Gallery is honored to represent the distinguished mid-career artists Mary Bauermeister, Barbara Chase-Riboud, Nancy Grossman and William T. Williams —as well as the estates and families of Benny Andrews, Hannelore Baron, John Biggers, Federico Castellon, Claire Falkenstein, Michael Goldberg, Morris Graves, Norman Lewis, Seymour Lipton, Boris Margo, Irving Norman, Alfonso Ossorio, Theodore Roszak, Louis Stone, Bob Thompson, and Charmion von Wiegand. To date, the gallery has organized over one hundred eighty-five exhibitions. Solo exhibitions have been organized for Benny Andrews, Romare Bearden, John Biggers, Federico Castellon, Jay DeFeo, Beauford Delaney, Burgoyne Diller, Morris Graves, Nancy Grossman, William H. Johnson, Blanche Lazzell, Hughie Lee-Smith, Norman Lewis, Seymour Lipton, Martha Madigan, Boris Margo, Irving Norman, Clifford Odets, Alfonso Ossorio, Fairfield Porter, Betye Saar, Charles Seliger, Charles Shaw, Theodoros Stamos, Louis Stone, Lenore Tawney, Alma Thomas, Pavel Tchelitchew, Bob Thompson, Charles White, Charmion von Wiegand, James VanDerZee, Marguerite and William Zorach. Thematic group exhibitions on Modernism, early American abstraction, realism, surrealism, abstract expressionism and social realism have also been consistently presented from new perspectives. Many gallery exhibitions have traveled to distinguished institutions throughout the United States including the California African American Museum, Los Angeles, CA; Columbus Museum of Art, Columbus, GA; Detroit Institute of Arts, Detroit, MI; Greenville County Museum of Art, Greenville, SC; Long Beach Museum of Art, Long Beach, CA; New Orleans Museum of Art, New Orleans, LA; Norton Museum of Art, and the Tubman African American Museum. 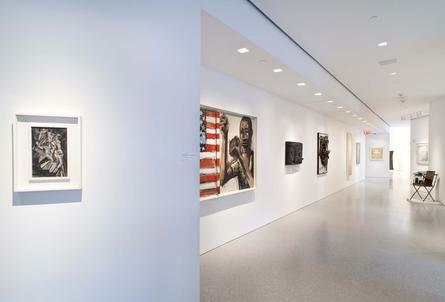 Crucially, the Gallery’s exhibitions have played a significant role in highlighting the achievements of artists who had historically been marginalized in the mainstream art world due to both active and passive discrimination on the basis of race and gender. The gallery has published more than one hundred twenty-five exhibition catalogs with scholarly contributions by leading art historians, artists or critics; authors have included Hilton Als, David Anfam, Debra Bricker Balken, Isabelle Dervaux, Joseph Jacobs, Leslie King-Hammond, Sam Hunter, Susan C. Larsen, Gail Levin, George Lipsitz, Whitfield Lovell, Robert Morgan, Francis V. O'Connor, Carter Ratcliff, Arlene Raven, Martica Sawin, Barry Schwabsky, James Siena, Lowery Stokes Sims, Elisabeth Sussman, Stephen Westfall, and John Yau. Gallery publications have been recognized and collected for their excellence; Martha Madigan: Vernal Equinox won the 2002 Independent Publisher’s Award (IPPY) for Outstanding Book of the Year. Over the last decade, the gallery has expanded its audience by participating in the following art fairs: The Armory Show-Modern, The Art Show (ADAA), Art Basel Miami Beach, Art20, Art Aspen, Art-Platform- Los Angeles, Expo-Chicago, Frieze Masters, Frieze New York, Seattle Art Fair and Works on Paper. 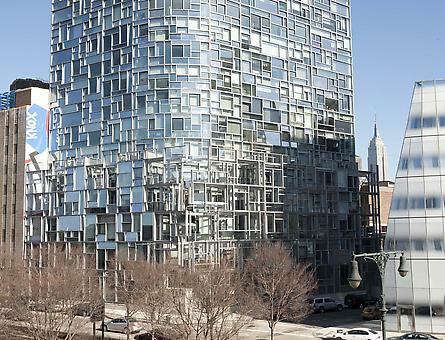 In 2011, Michael Rosenfeld Gallery LLC purchased the ground floor commercial condominium space of 100 Eleventh Avenue (at 19th Street), the iconic residential tower designed by Pritzker Award winning architect Jean Nouvel. “It is our desire to reach and educate a more diverse audience. 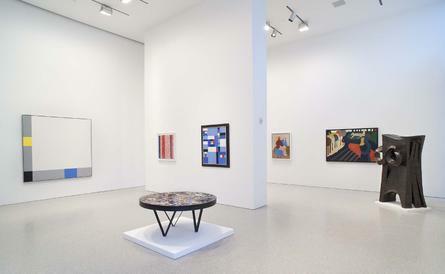 We are excited to be one of a few galleries to present consistently historic twentieth century American art. We have great confidence in the Chelsea neighborhood; we wanted to make a long-term investment into the community. 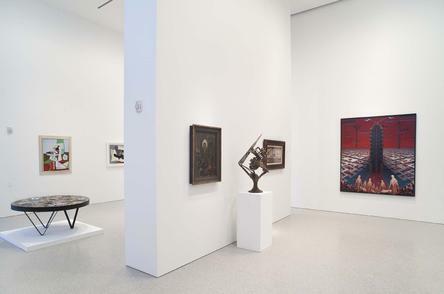 Given the success of recent redevelopment projects like the High Line Park and the promise of future projects, including the Whitney Museum of American Art's move to the Meat Packing District, we are excited to be in the heart of the art world. 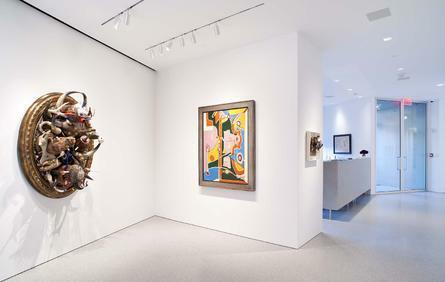 To design the 6500-square-foot space, Rosenfeld enlisted the services of preeminent architect Richard Gluckman of Gluckman Mayner, designer of a wide range of institutional, commercial, and residential projects throughout the United States, Europe, and Asia, including over forty commercial art galleries. Construction of the space was managed by Gorton & Partners, LLC, renovation project managers for sixteen years in the New York Metropolitan area.